The Chison Q5 ultrasound system offers incredible versatility and portability at an affordable price. With color, PW, Power, Directional Power Doppler and 4D obstetric imaging modes, the Q5 delivers high value and flexibility in an easy to use design. The Q5 color portable ultrasound system features full measurement and presets for a wide variety of imaging applications. The system includes presets and calculations for abdominal, cardiac, MSK, vascular, pediatrics, OB/GYN and urology, combining clear image quality and versatility at an attractive price point. The Q5 also has a high resolution 15″ display for impressive image delivery. And unlike other monitors at this price point, the display on the Q5 has a 160+ degree viewing angle for maximum flexibility in a highly portable design. 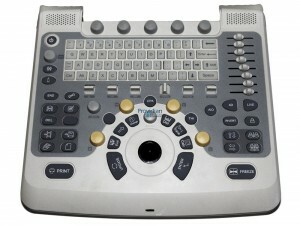 If you are looking for the lowest price on a refurbished Chison Q5, UsedUltrasound.com is the place to find it. UsedUltrasound.com has a complete inventory of used Chison ultrasound machines for sale, all backed by a 100% satisfaction guarantee. To receive a no obligation Chison price quote, simply fill out the contact form below.